Danny Welbeck have been rumoured to join Arsenal from Manchester United all day, some reports went as far as suggesting that the England international has undergone a medical at Arsenal. 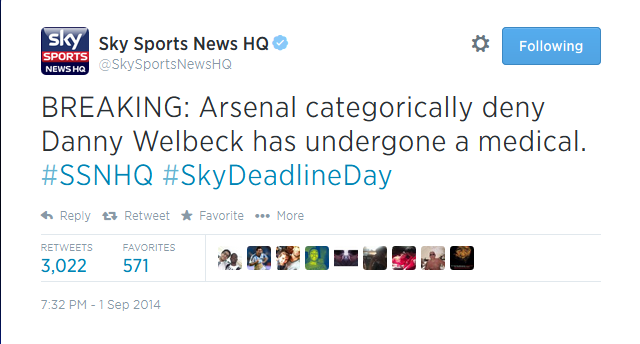 Sky Sports are reporting that Arsenal categorically deny a medical for Welbeck. Time will tell... The drama of the transfer deadline day.